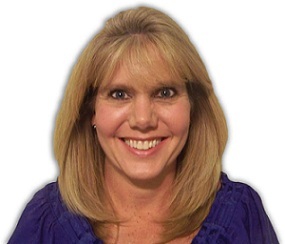 Hi, I’m Ellen Fagan, Owner of Steam Clean My Carpets, LLC. I appreciate you taking the time to stop by my web site. Here you’ll find some great information about what makes us so different as well as a video demonstration of our state of the art equipment – the Rotovac 360. To see actual photos of recent jobs (all done by me!) check out our Before and After pictures- I think you’ll be as impressed as the homeowners were. Check out our website by clicking below to go to our main page. There you will find our Monthly Steamer Specials as well as My Video comparing the “wand” to the Rotovac 360. You can also click on the testimonial tab to read a sampling of customer testimonials or you can click on the tab “Rotovac 360- The Wow” which will show you how we offer a clean you just can’t get with a wand! After you’ve seen the Rotovac in action I’m sure you’ll want to set up an appointment or get a quote. There’s a tab to do all this quickly and easily online. Give us a try – As mentioned earlier, I guarantee you won’t be disappointed. 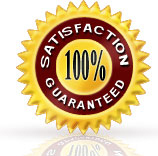 And I mean I guarantee it – if you’re not delighted with our quality cleaning – it’s FREE! Enjoy the tour! I look forward to hearing from you real soon! Fun Facts: Altamonte Springs, Florida is a city in Seminole county that had a population of 41, 496 as of the 2010 census. It is positioned in the geographic heart of Central Florida. The city hosts a major mall called the Altamonte Mall that has 4-anchor indoor shopping stores along with 18-screen AMC Theatre and plenty of yummy restaurants. During recent years, the city has hosted large special events such as the Red, Hot, & Boom firework festival which is fun for all!